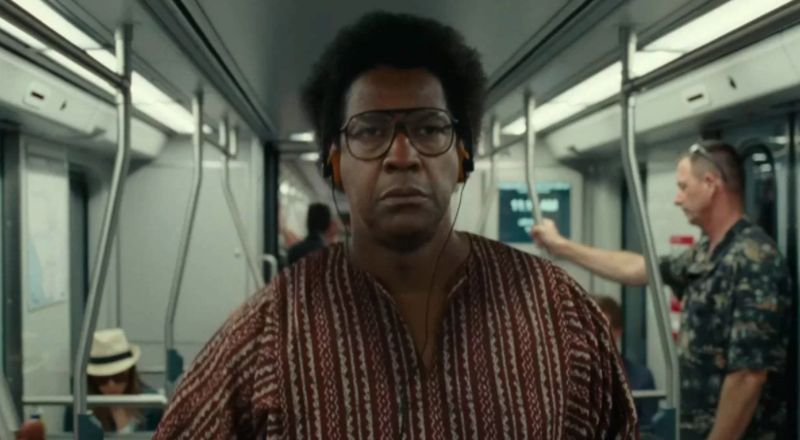 Film Review: ‘Roman J. Israel Esq.’! Roman J. Israel, Esq. won’t be a box office hit, and if you aren’t black or a lawyer or somewhere in that venn-diagram, you probably aren’t wanting to go see it. But you should. If you’ve ever had a forgotten dream, no matter what your profession is or the color of your skin, you will identify with Roman. It’s uncomfortable to watch, it’s heartbreaking at times, but there’s laughter and Denzel Washington. Denzel is superb. And honestly, Collin Farrell has redeemed himself in my eyes from The Lobster, so there’s really no reason to cast this one aside. 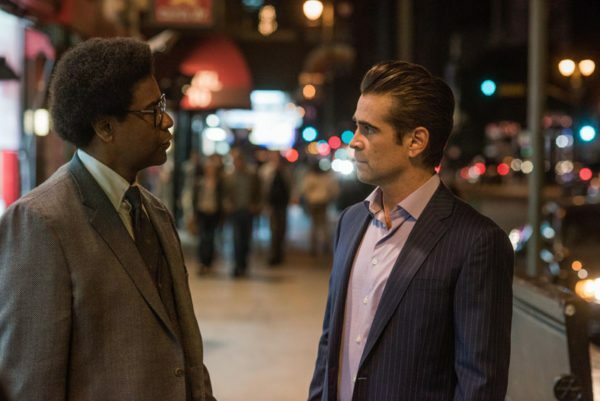 Denzel Washington plays Roman J. Israel, Esq., which as he says is slightly above a gentleman, but below a knight. He is a believer in all things civil rights and works to accomplish those goals on the sidelines of a two-man criminal defense firm in the shadow of a civil rights giant. Roman is the man behind the curtain: he briefs, he researches, he knows the ins and outs of every case they’ve ever had, but he doesn’t go to court. He’s eccentric and non-traditional and can’t stomach the unsavory way in which the court chews people up and spits them out like it’s nothing. He is a strong proponent of holding the Government to their burden and wants to reform the plea system. This in itself could be a film and should be, but the fact that it’s covered here in more than one scene through witty and sharp dialogue is important and captures the reality that many Americans face. When Roman’s boss falls ill, Roman steps into the arena. The movie takes place over three weeks and you see at the beginning of the film that Roman will ultimately take a wrong turn somewhere. It’s the journey he takes along the way that should serve as a reminder to all film goers to stay true to yourself. The interesting paradox is that as Roman goes to work for the rich and powerful George Pierce, played by Collin Farrell, you see Pierce on a journey back to his roots, too. As Roman says he becomes, “tired of doing the impossible for the ungrateful.” As a criminal defense attorney, this can be a hard task. But his passion, his belief that the system can be better, his sacrifice is palpable. As an attorney watching this film it’s hard to watch him make the choices he makes, but you know people do it. You know right from wrong, and you know people choose wrong. You know why they do, and you hope you are never that person. Roman’s frustration is all too real and recognizable and it’s hard to step back and think, this will get better. But I left with something the character said echoing in my head, “Each one of us is greater than the worst thing we’ve ever done. 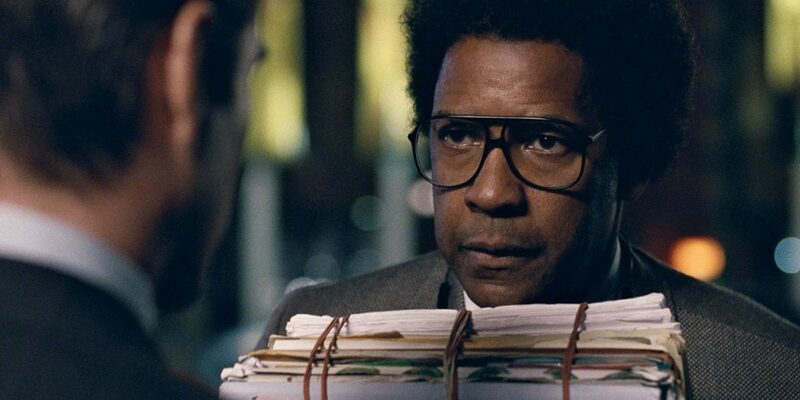 We are all formed of folly- let us pardon reciprocally- that is the first law of nature.” It’s not the best film in theaters, but Denzel as a character actor is hard to beat, and I found the message of the film redeeming and worthwhile. ‘The Aftermath’ – Film Review! This entry was posted on Monday, November 27th, 2017 at 11:46 am	and is filed under Film, News. You can follow any responses to this entry through the RSS 2.0 feed. You can skip to the end and leave a response. Pinging is currently not allowed.